Home Editorials What Would Happen If A Giant Tsunami Hit Florida? Can you imagine the devastation that would be caused if a massive wall of water several hundred feet high slammed into Florida at more than 100 miles an hour? To many people such a scenario is impossible, but that is what people living along the Indian Ocean thought before the 2004 tsunami and that is what people living in Japan thought before the 2011 tsunami. Throughout history, giant tsunamis have been relatively rare events, but they do happen. Scientists tell us that a mega-tsunami can race across the open ocean at up to 500 miles an hour, and when they reach shore they can produce waves that are hundreds of feet high. 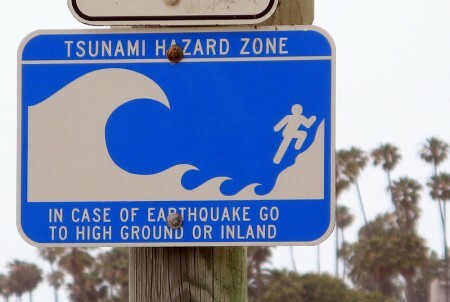 And even though authorities claim that the threat to Florida is “remote”, it might surprise you to learn that there are “Tsunami Hazard Zone” signs on Florida beaches. If a highly unusual event (such as a giant meteor hitting the Atlantic Ocean) caused a giant tsunami that hit Florida, the devastation would be absolutely unimaginable. South Florida has two big problems. The first is its remarkably flat topography. Half the area that surrounds Miami is less than five feet above sea level. Its highest natural elevation, a limestone ridge that runs from Palm Beach to just south of the city, averages a scant 12 feet. With just three feet of sea-level rise, more than a third of southern Florida will vanish; at six feet, more than half will be gone; if the seas rise 12 feet, South Florida will be little more than an isolated archipelago surrounded by abandoned buildings and crumbling overpasses. And the waters won’t just come in from the east — because the region is so flat, rising seas will come in nearly as fast from the west too, through the Everglades. Even worse, South Florida sits above a vast and porous limestone plateau. “Imagine Swiss cheese, and you’ll have a pretty good idea what the rock under southern Florida looks like,” says Glenn Landers, a senior engineer at the U.S. Army Corps of Engineers. This means water moves around easily — it seeps into yards at high tide, bubbles up on golf courses, flows through underground caverns, corrodes building foundations from below. “Conventional sea walls and barriers are not effective here,” says Robert Daoust, an ecologist at ARCADIS, a Dutch firm that specializes in engineering solutions to rising seas. Although it is highly unlikely that a tsunami will impact Florida, it is not impossible. Floridians may also travel to locations where tsunamis are more likely. It is vital to know (and instruct children) that if the ocean suddenly recedes from the shore do not stand and stare. It is necessary immediately to run uphill or away from the shore and go to the highest location possible which may mean up the stairs of a substantial building. Everyone should be aware that no matter where in the world they are, if the sea is observed to recede from the shore, they should immediately run for high ground. That last part is quite funny. There is no “high ground” until you get to north Florida. If a mega-tsunami strikes, there is going to be no place to hide. 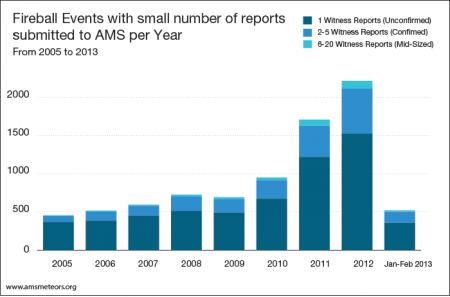 The Caribbean has been hit by 37 verified tsunamis since 1498. Some were generated locally and others were the result of events far away, such as the earthquake near Portugal. Meteorologist Bart Hagemeyer from the National Weather Service says an earthquake in the Caribbean region is likely to project wave energy more to the north and less toward Florida. But the direction can vary and much of the outcome depends on the amount of energy released by the earthquake. The highly unlikely tsunami that Florida might keep in mind could come from across the Atlantic, created by the collapse of a volcano in the Canary Islands off the coast of Africa, say experts. For years, some have thought that the unstable volcanic structures in the Canary Islands would cause massive tsunamis to slam into the East Coast of the U.S. if they crumbled into the sea. That would have the potential of a not just a garden-variety of tsunami, but a “mega-tsunami,” according to Hagemeyer. So what would such a “mega-tsunami” look like? Personally, however, I am convinced that the much greater potential threat comes from above. There are countless cities in between these coastal cities. The Eastern Seaboard of the United States includes some of the largest metropolitan areas in the country. Over one third of the country (more than 100 million people) live along the East Coast. Evacuation would be virtually impossible for most (except for the astute who act quickly) due to only hours notice, probable doubt, and the subsequent immediate gridlock that would follow. Most scientists would tell you that the possibility of such a thing is extremely small. But could it be possible that they are wrong? At this point, more than 10,000 major near earth objects have been discovered, and about 10 percent of them are one kilometer or larger in size. And there are many more out there that are still undiscovered. In fact, scientists are discovering new ones all the time. Sometimes, astronomers only spot them after they have passed our planet. Why are so many large rocks suddenly flying by so close to our planet? And what is going to happen when a really giant rock slams into us one day?